Since then Cormac's had twenty high-flying years working as a detective in Dublin, and he's come back to Galway for reasons of his own. As he struggles to navigate the politics of a new police station, Maude and Jack return to haunt him. I'm an avid reader of crime novels. Have been for decades now. But there a few writers that are reliably good at their craft and it is looking like Dervla McTiernan is one of them (have just finished her second novel, The Scholar). 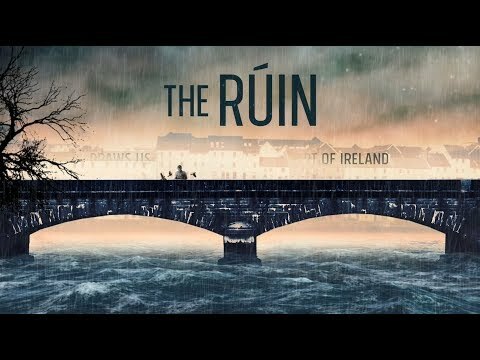 The Ruin is a book that is difficult to put down. It is a disturbing story and often very sad but it is also an exciting read that I'm sure will not disappoint. I found it difficult to put this book down! I really enjoyed reading this book and have read quite a lot of crime fiction recently. I bought 'The Scholar' straight after completing 'Ruin' and I am looking forward to the third novel! I thoroughly enjoyed this book and would definitely read it again. Excellent mystery from start to finish. Loved all the characters. Couldn't put it down! An easy , enthralling page turner ! Can't wait for the authors next piece . I found the book to be very well written, and could not put down. A really great mystery. I read it all over one Saturday. The product is great, and the book was great. Recreational reading. So well written, believable characters. Can't wait for the next book. Well done Dervla. Hated the frequent use of the "F" word hence I have given 4 stars and not 5. The author appears to delight inlaying around with language. The period is well researched and engaging. The protagonists are likeable by degrees. The plot of this book is somewhat darker than the previous novels by this writer. A tad more 'grown up'.